I have written a few times about politics and how it feels to be so far from home when so much is going on. I have never felt like this before – I have lived abroad during several general elections and although have followed with interest, I have never before felt so hopeless about not being able to do anything to aid the cause. This time is different because I do feel like we, the people, have been abandoned by our politicians and it is being left up to grassroots campaigners to make a real difference. And yes when I say “the people” I do mean ALL the people – not just the 48%. Well, all but a tiny percentage of our population who will be the ones getting rich from all of this. But here I sit a very long way from Brexit Britain and in all honesty I feel a bit useless. 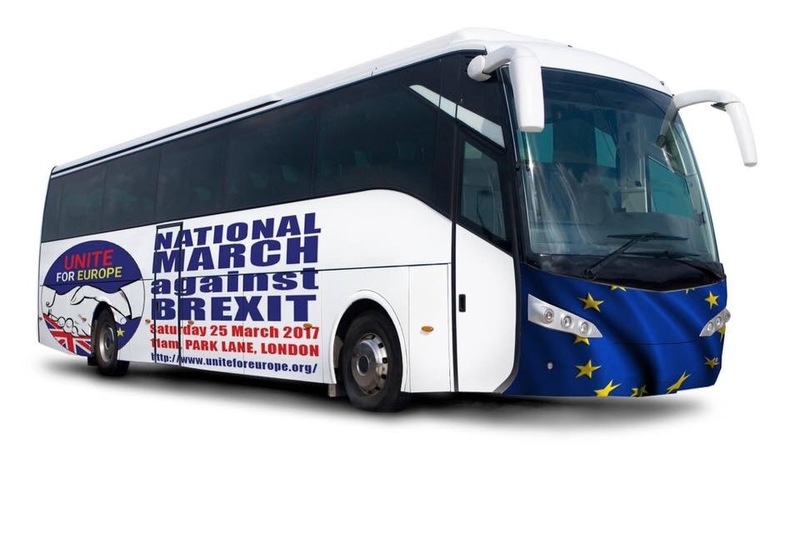 In just over a week’s time there will be what is planned as the biggest march possibly in the UK’s history against Brexit and my facebook timeline is full of it. I have been asked if I am going but I can’t – the round trip would cost me more than £1,000 and be very difficult for the rest of the family in terms of child (and dog) care. I do know some of my friends who travelled to the US (one from here, one from Sweden) for the Women’s March on Washington after Trump’s election and i take off my (pink) hat to them. Sadly it just isn’t possible for me to emulate their lead. And once more here is a link to donate to the march – money that will be spent on advertising and marketing, health and safety on the day, marshalls with megaphones, helping people who can’t afford it to get there and more. We really need to make the UK government sit up and take notice – they’ve been pretty well ignoring us up until now. Phew! What a week. I don’t know about you but I feel like I’ve gone ten rounds with Mike Tyson over these past few days, with news coming at me from every direction. There was the travel ban in America, the huge protests against Trump being invited on a state visit in the UK, and then there was the Brexit debates and vote in London. It just seems like every time I check the news something else has happened…. But somehow, with all this going on, we have to learn to carry on. In all honesty, I am finding it inceasingly difficult to focus on anything. I have plenty of work and am in the middle of an essay-writing course with a view to increasing the amount of freelance work I do. I also have this blog to keep up! Never mind all the normal, daily routine work like shopping and dog-walking that you can’t just forget about. But on the other hand there is Facebook and Twitter and another check of the latest news and before I know it half the day has gone. I also find my mood swings all over the place with the increasingly worrying information we are getting on a daily, nay hourly, basis. But I know it’s just going to keep on coming so somehow we have to find a way to live with this new normal. And one of the ways I have been doing it is talking to people who have been surviving for years, decades even, in the sort of uncertain political environment that we in the UK and the US (and other stable democracies) perhaps haven’t ever had to contemplate. In particular, I spent last weekend in Harare visiting with relatives. For those that don’t know (which hopefully is few of you! ), Zimbabwe has been living under Robert Mugabe for more than 35 years. I am not about to go into a plotted history of the country and its politics – especially as, to my shame, I am actually pretty ignorant as to exactly what is happening in that country despite living righ next door and having relatives there. But if you are interested to learn more, here is a link. However, what is true is that life in Zimbabwe has become increasingly difficult for many of its nationals and change still seems elusive. It is that lack of WHEN things will improve that I think is the hardest to deal with – many people can cope with difficulties if they know it is for a limited time. If nothing else, contigency planning is easier when you have an idea how many months, years or even decades you are planning for. It obviously isn’t easy and there aren’t any simple rules but it certainly seems that trying to get involved, in one way or another, in any opposition to the ruling government can make you feel a lot more positive. Just to feel like you are DOING something can certainly lift your spirits. How much you are actually able to do will of course depend on where you are and your particular situation – but in the UK and the US we are still in a position to be able to petition, march, write, donate and share information pretty widely. Hopefully all of those things will continue. Otherwise, distraction is a great way to deal wth whatever is going on around you – epecially when you feel so helpless to change it. Change does and will come – we only have to look at history to know that we won’t stagnate in this situation forever. But it may be slow, a lot slower than we would want – so in the meantime we need to find ways to cope with the wait. Whether that be writing or crafting or sewing or baking or even burying yourself in work, it is always going to be healthy to take your minds off things for periods of times. Getting together with like-minded friends is another thing that can really help when you are feeling despondent. As an expat I do sometimes feel quite isolated from everything going on in my home country, especially as I am surrounded by American expats so the news of Trump does tend to dominate. But every so often I get together with another sympathetic British friend who reassures me that no, I am not alone in feeling like this (I know the internet and Facebook in particular is another way to bring people together but there is nothing like a proper, face-to-face get together). Finally the other thing that really helps me is what this blog is really all about – which is that many people, in many countries have been living with these uncertainties for years and whatever happens we will still almost certainly remain some of the most privileged people in the world just by dint of our passports. Although I speak about Zimbabwe, South Africa also has been going through interesting political times with a difficult and unpopular government, student riots, allegations of corruption right to the top of government….. But I look around me and people are getting on with their lives. They are shopping and cooking and drinking wine and selling mobile phone cases at traffic lights and sweeping leaves and walking dogs and going to business meetings….in other words, life goes on. It is frustrating, incredibly frustrating, when you feel that you can’t do anything to bring about the immediate change that you crave but actually what you do need to be doing is living. Now I am going to take my own advice and go and make a cup of tea. Please let me know your thoughts – these are interesting times. So how do you process something like this morning? Despite having that sinking feeling in my stomach just like I did with Brexit, it’s hard to make sense of what happened. We all knew it was a possibility but the reality seemed so completely beyond our understanding that we just switched off from it. Or we didn’t think about what it actually meant. But here we are, waking up to this strange, new, back-to-front world we live in. I was out this morning with some American friends who I can only describe as shell-shocked. Oh yes, I know that feeling well. For me it really is 24 June all over again. Going to bed feeling optimistic, the polls looking good. Waking up to – what?! Has this actually happened? In truth I woke at 3.45am and looked at my BBC news app. I could already see results coming in – and that it didn’t look good. It was early days, people kept saying. Exit polls showed Clinton had it in the bag. But there was nothing overwhelmingly in her favour – it was all way too close, going to much in Trump’s direction. And I knew, I knew then what was about to happen. I knew because we are five months ahead of the US. We have had five months to get used to this new world order, the anger and the post-truth politics. The total denial of anything that makes any sense. The refusal to admit they don’t have an argument or reason. They just want….what? Something. Something intangible – change? Their identity back? To feel like they still matter? I don’t understand it but then I am someone who doesn’t see people who are different to myself as something to be scared of – I welcome them. I love diversity and think we can only learn from others who come from a different place, have a different outlook on life or live a different way. So I knew that this poison that has infiltrated our shores has reached America too. Why wouldn’t it? We are all part of the same globalised society now. We bounce off each other constantly, we read the same information and watch the same programmes and hear the same lies from the same sorts of people. With my American friends we discussed which was worse – Trump or Brexit. To them, understandably this soon after an unexpected win for Trump, nothing could be worse. But for me I feel that at least they get another election in four years time. We are (possibly) stuck with Brexit forever. But in the end actually it doesn’t matter which is “worse” because they are both part of the same thing. Brexit, Trump and just as scarily the rise of right-wing parties in Europe. We are all heading in the same direction and at the moment I feel powerless to know what to do about it. I am having to defend my liberal values against people who now think it is ok for men to say what they want about women, it is ok that Muslims should be targeted and expelled from their home country, it is ok to cheer at the notion that all Mexicans are rapists. Many people who voted for Trump will say they are not racists or misogynists, that they were voting AGAINST something as much as FOR it (just like in the UK) – but in so doing they have enabled the hatred to rise. They now need to own it. If they really meant they didn’t vote for that then they damn well need to condemn it every time they see or hear something they don’t like. Because the small majority of people who really do believe these things are on the up and they are not going to go away. So anger and confusion, Americans like us Brits will now be stuck in the culture shock cycle of this new place they arrived at this morning. You will be stuck in it for a while but I hope that you get some sort of clear direction at some point as to where you are going. In the meantime I have no idea if this will help at all but just something I wanted to share. As I stood outside our gate this morning with our dog, having just put the children on their school bus. I saw the garbage man rummaging through next doors bins. He found some old, flat Coca Cola in a bottle and drank it. He found some wrecked, filthy trousers and neatly folded them up and put them aside. He then put all the rubbish back in the bin and moved on. He probably has no idea there has been an election in the US, nor who Donald Trump is. All he cares about is where to get food from. Yes things are awful right now and I feel pretty wretched but for 90% of the world life will go on just as before. We are all terrified for our future but at least we don’t have to go through bins just to find food. It feels like there is a lot of uncertainty in the world at the moment. For many of course – Syrian refugees for example – uncertainty has become a normal and ongoing part of life. But for most of us, this uncertainty on a macro scale is something new and something very scary. With my own home country on the Brexit rollercoaster with no idea of whether we will be part of the EU for much longer, how long our current Government will last, what effect all of this will have on food prices, our jobs, the future of the NHS; and the US with elections looming that have the potential to change not just their own country but really the history of the world, it’s no wonder that we turn in these times of crisis’ to humour about Marmite shortages and the comforting words of First Lady Michelle Obama. But as expats, uncertainty on a micro scale is something we are used to. A few years ago we were evacuated from Pakistan following the Mariott bombing of 2008. We were lucky in that it wasn’t an immediate evacuation – they prevaricated for ages about whether we should be sent home or not and once they had finally made up their minds we had another two weeks to prepare, pack and go. We took a detour to Thailand for a week’s holiday on the way back so in all it was five weeks from when the bomb went off until we touched down in the UK. So a very difficult five weeks – two weeks or completely not knowing what our future was followed by another few weeks of confusion about where we would live when we got home, whether we could find a preschool place for our elder daughter, what would happen to my husband’s job, when we would get our heavy baggage back again….. But even those few weeks of uncertainty faded into the background compared to the next few months. We managed to get back into our own home after a few months renting a holiday place near my parents. Our stuff eventually arrived, we managed to buy cars, my husband was given a job of sorts. But although physically things started to fall into place mentally and emotionally we were all over the place. Because our posting was cut very short (we only managed three months in Islamabad) we were promised a replacement. But because we were out of the normal postings cycle and for various other office politics reasons, it took them quite a long time to come up with a viable alternative. So for months we had no idea whether we would be moving again, where we would be moving to, when we would be moving, what sort of job my husband would be doing, whether we would need to apply for school places for our daughter, whether I should start looking for a job or not…Those months of uncertainty were probably the hardest thing about the entire episode. Although the bombing itself was obviously very traumatic, we had good support and were surrounded by others going through the same thing as us. This time we were on our own. Eventually it did all get sorted out and we moved to St Lucia in the summer of 2009. But I am reminded of that time again as we are currently going through another time of extreme uncertainty. We are trying to decide whether to return to the UK next summer or the summer after (all too do with schooling and education – as it so often is) and I feel sick with the not-knowing. I don’t think I do this indecision thing very well. I fret and I worry, I discuss it over and over with people. It plays on my mind and takes over all my thoughts. Once the decision is made I will be fine. I only wish someone would make it for us – then I wouldn’t feel so nervous about making the wrong one. But as expats it really is something we all have to deal with. From terrorism events to job cuts, whether it be our own decision (as it is at the moment) or one made for us, not knowing exactly what lies ahead is part and parcel of this life. It doesn’t make it any easier but it is something we all go through. So my question to you oh wise expats is how DO you deal with it? Do you have any tips or advice on how to get through these difficult times? What do you do when you find yourself laying awake at 3am night after night wondering what lies ahead, what will you do, where you will be? How do you stop those midnight demons, or the feeling of a total lack of control or the anger over not being able to apply for that job or accept that school place or even plan for next Christmas because you just don’t damn well know where you will be? It’s hard. It really is. But we all go through it. So please, share your stories. Help me, help others. And perhaps, just maybe, we can use these skills to help the uncertainty of the world at the same time. Some interesting facts and updates about the Brexit campaign (which is going nowhere fast at the moment). As it’s August there is not a lot happening but it will certainly be interesting to see what happens come September….. Note: originally this was written during a discussion with a leaver (Rod, I hope you are out there and doing well) but was then turned into a more generic post.